SECTION 1. General Principles. 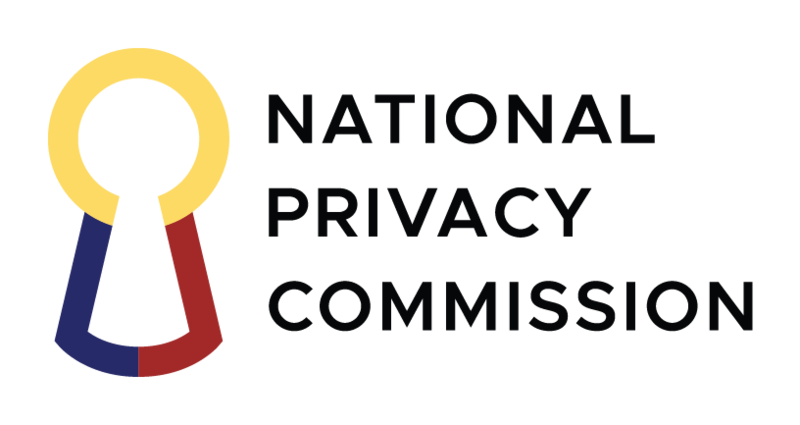 – The NPC is an independent body mandated by law to provide assistance on matters relating to privacy or data protection at the request of a national or local agency, a private entity or any person. It is authorized to promulgate rules to facilitate the drafting of opinions, determine the requirements, and provide guidelines to ensure efficiency in the administration and adequacy of response to the requesting party. SECTION 2. Advisory Opinion. – An advisory opinion refers to a determination of the NPC on matters relating to data privacy or data protection, at the request of any party, or on a complaint endorsed by the Complaints and Investigations Division (CID) under Sections 4 and 10 of Rule II of NPC Circular No. 2016-04. It shall be based only on the facts and circumstances provided by the requesting party, taking into account applicable laws and regulations. It shall serve to provide guidance to the requesting party and the general public, but shall not be used in the nature of a standing rule binding on the NPC when evaluating other cases regardless of the similarity of the facts and circumstances. An advisory opinion shall neither adjudicate issues between parties nor impose any sanctions or award damages. It may be referred to the CID for evaluation, investigation and appropriate action, as may be necessary. SECTION 3. Scope and Coverage. – These rules shall apply to all requests for advisory opinions cognizable by the NPC. SECTION 4. Letter Request. – The requesting party shall submit a letter request for the issuance of an advisory opinion, addressed to the Privacy Commissioner and Chairman. The letter request may be delivered to the NPC personally, or sent by direct or electronic mail. e.	All relevant documents and attachments that will enable the NPC to appropriately respond to the request. The letter request shall not be required if the matter is endorsed by the CID under Rule II of NPC Circular No. 2016-04. Other related matters on personal data privacy, security, and protection. It involves a request for review of a privacy notice, privacy manual, consent form, organization terms and conditions, or other privacy policies. If the request for advisory opinion shall be denied for any of the reasons mentioned above, the NPC shall send a notice of denial of request. The requesting party may decide to complete the documentary requirements, if such is the basis for denial and re-file the request. Requests with inordinate number of questions are also discouraged to allow for the expeditious resolution of all pending requests. The NPC reserves the right to evaluate each request and resolve the same in a manner it deems fit. SECTION 6. Supporting documents. – The requesting party must submit all pertinent documents and provide all information for the evaluation of the request. The NPC may request for additional information as may be necessary to evaluate the request or to effectively respond to the inquiry presented.. SECTION 7. Withdrawal of a request. – The requesting party may file a letter of withdrawal to formally withdraw the request for an advisory opinion in the event the matter becomes moot and academic, the issue inquired upon has been resolved in another advisory opinion which has been published by the NPC, or for any other valid reason, at any time before the NPC issues and transmits the advisory opinion to the requesting party; Provided, that the NPC may proceed to render said opinion at its discretion. SECTION 8. Filing as a complaint. – If during the pendency of the request for advisory opinion, the requesting party decides to file the matter as a complaint cognizable by the CID, the request for advisory opinion previously filed shall be held in abeyance. The complaint shall be handled in accordance with NPC Circular 16-04. All documents attached, as stated in the request for advisory opinion, and the findings during the proceedings thereof, shall not be adopted by the CID in its investigation, unless such documents have been formally offered by the parties as evidence. The complaint shall be given precedence over the request for advisory opinion as the complaint will involve the adjudication of issues, determination of rights of the parties and imposition of sanctions. If the complaint is dismissed, or otherwise terminated, the request for advisory opinion shall proceed accordingly. SECTION 9. Conference with the Requesting Party. – Where necessary, the NPC may, in its discretion, require the requesting party to attend a conference, for a more exhaustive and thorough discussion of the matter. SECTION 10. Release of Advisory Opinions. – The advisory opinion shall be released to the requesting party not later than twenty (20) working days from date of receipt by the concerned division, unless the complexity and novelty of the subject matter requires a longer period of time for further evaluation. The requesting party shall be notified of the reason for the extension. A scanned copy of the document shall be sent electronically, or the hard copy shall be mailed to the business address provided by the requesting party. SECTION 11. Publication of Advisory Opinions. – Advisory opinions issued by the NPC shall be made available to the public through publication by print or on the official website of the NPC. However, all sensitive personal information and/or critical business or proprietary information shall be kept confidential. Such details shall be redacted or anonymized in the published version. SECTION 12. Fees. – Every request for the issuance of an advisory opinion may be subject to a reasonable fee, as may be prescribed by the NPC in a separate issuance. SECTION 13. Separability Clause. – If any portion or provision of these Rules is declared null and void or unconstitutional, the other provisions not affected thereby shall continue to be in force and effect. SECTION 14. Repealing Clause. – All other rules, regulations, and issuances contrary to or inconsistent with the provisions of these Rules are deemed repealed or modified accordingly.